Competitors' products have up to 6:1 pulling power. That is, if the handle is 60 long, the distance from the plant to the pivot (fulcrum) is 10 . 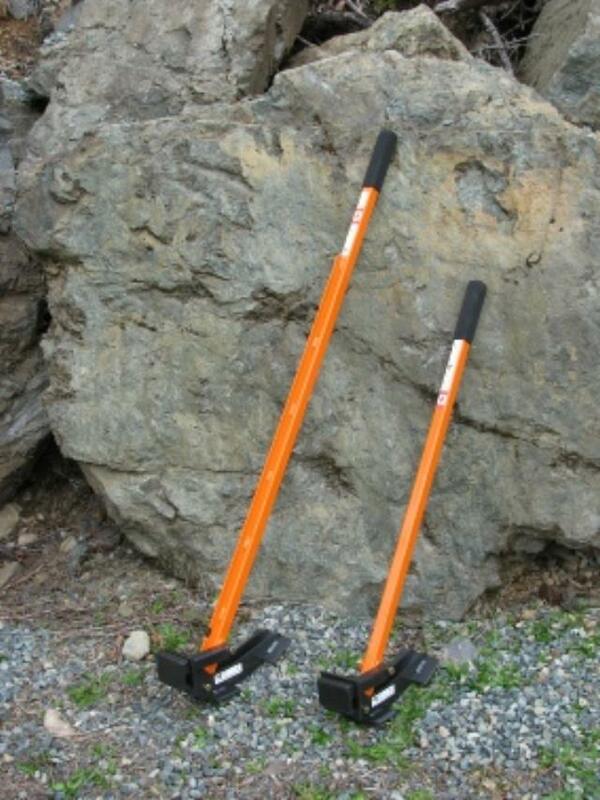 If you apply 10lbs force to the end of the vertical handle, you are applying 60lbs of uprooting force. The Extractigator begins the pull with a minimum 12:1 ratio, with the handle at a height which allows the operator to use body weight as the pulling force. If the operator applies 10lbs of body weight to the end of the handle, he or she is applying initially 120lbs of uprooting force to the plant. After the initial pull from the ground, less effort is required. The fulcrum distance increases to remove the entire plant. With the minimum 12:1 ratio - If the operator applies 100lbs of body weight to the end of the handle that s 1200 lbs of uprooting force!! Depending on thickness of plant stock, the force applied can be up to 24:1 ! That s over 4 times the pulling power of competitive models! * Please call us for any questions on our puller buckthorn puller jr. weed wrench rentals in Eden Prairie Minnesota, Bloomington, Chanhassen, Minnetonka and surrounding Twin Cities communities.